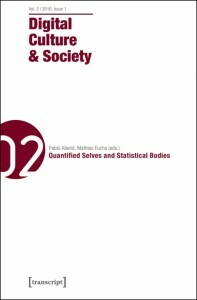 The second issue on “ Quantified Selves | Statistical Bodies” has been published in March 2016. It provides methodological and theoretical reflections on technologically generated knowledge about the body and socio-cultural practices that are subsumed, discussed, and criticized using the key concept “Quantified Self”. The print issue can be ordered through the publisher’s website (transcript). All articles are available as open access (CC-BY-NC-ND 4.0) below. Or: Who’s Afraid of a Pleasing Little Sister? I Think it Worked Because Mercury was in the House of Jupiter!